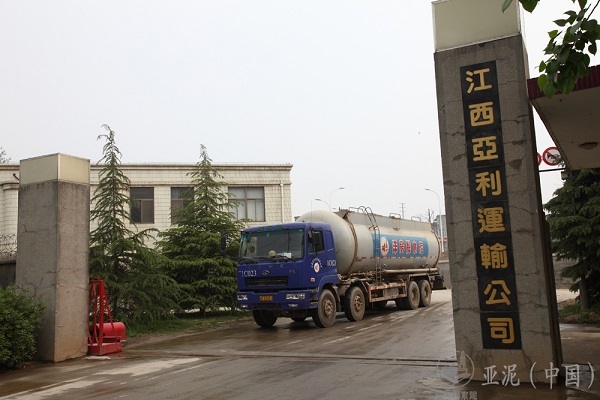 Home/ About Us/ Subsidaries/Jiangxi Ya Li Transportation Co., Ltd.
Jiangxi Ya Li Transportation Co., Ltd.
Jiangxi Ya Li Transportation Co., Ltd. (the “Company”) was a Taiwan-based enterprise established by Jiangxi Ya Dong Cement Co.,Ltd. and Ya Dong Holding Co., Ltd., with a total investment amount of RMB17 million, of which RMB12.5 million were registered capital. Incorporated on 30 May 2000, the Company’s headquarters was established in Matou Town, Ruichang City, with its Nanchang branch company and Wuxue office located in Changdong Industrial Zone of Nanchang City and Tian Town of Wuxue City respectively. As one of the exclusive transportation enterprises of Asia Cement (China), the Company’s main business is to provide transportation services of raw materials and fuel, cement, slag powder, etc to Jiangxi Ya Dong Cement Corporation Ltd., Nanchang Yadong Cement Co., Ltd., and Huanggang Yadong Cement Co., Ltd.
For more than a decade, the Company constantly explores new management approach to provide better service to Jiangxi Ya Dong, Nanchang Yadong, and Huanggang Yadong. In 2005, the Company was at the forefront of the road transport industry in China when it adopted the internationally advanced SAP management system, replacing the MIS management system used since inception. In 2007, the Company introduced vehicle dynamics control system installed with global positioning system (GPS). The aforementioned information technology tools contribute to a more standardized, precise and streamlined management, and ensure safe vehicle operation. The overall management level of the Company is thus enhanced, thereby laying a solid foundation for Asia Cement (China)’s provision of better services.